Helsinki's weather has been heavenly for a few days now! for Summer/ beach time and one of the pieces I got was this dress. time to be "sad" about the exhibition being over already. that I got which I think made it this hard for me to face the closing day tomorrow. Divna je ova haljina, i ja sam bila bacila oko na nju nedavno :)) Crvena boja ti sjajno stoji! Wow,... red looks really amazing on you! I'm so glad for you that your exhibition went so well. Don't be sad that it is closing because I'm sure there are so many marvellous things for you ahead. I will be leaving New York tonight, sadly, but I'm looking forward to a weekend at the beach. The dress is really beautiful and red suits you so well. I love maxi dresses, they always look so femenine. Red is definitely a beautiful shade for you, looks gorgeous! Love that color of red on you. Great look and dress dear! You are really elegant and beauty! Follo you if you want coem to my blog :) xo! Thank you so much for your lovely comment Natali. Have a wonderful weekend. Love your dress. You look stunning in red! The red dress looks amazing on you! Love the look. 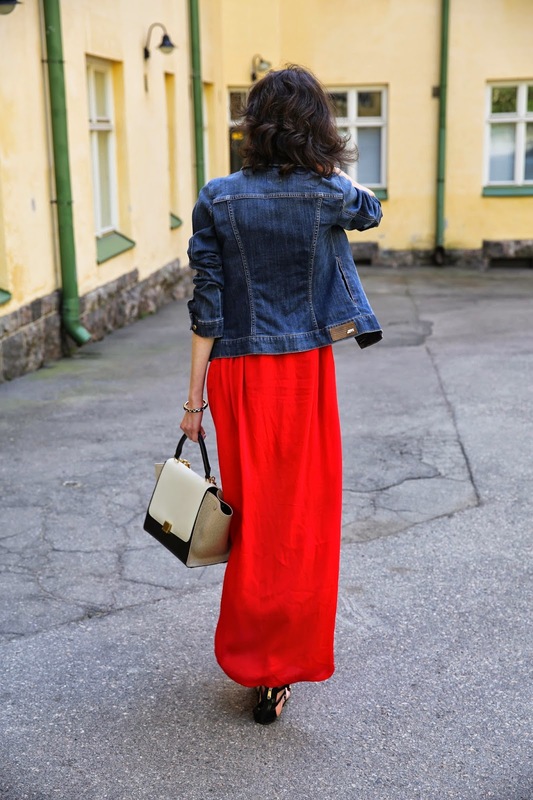 I love a good maxi dress and denim jacket!! Beautiful dress and I love your bag! Love this outfit, very stylish. we love long dresses, this is beautiful! Oh! 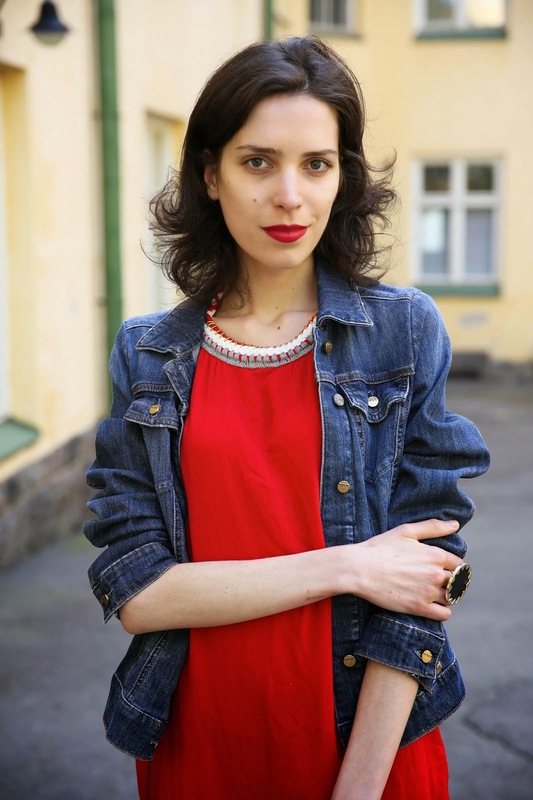 I wish I could pull of a red dress ( and lips) like you do! Stunning!